Me VS. The Sugar...: Planning Ahead - What a thought? It's 9PM and I finally get to sit down! The doctor's appointment went well, and she even said she thought the baby moved down where she was supposed to be. Yay! Afterward, I ran some errands and headed back home to get dinner ready. 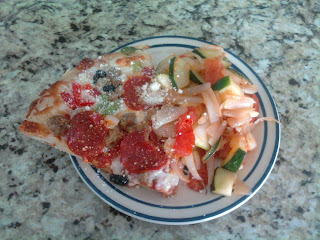 It was Friday Pizza night so I just popped in a DiGiorno and made a squash, tomato & onion stir-fry. It was so good. 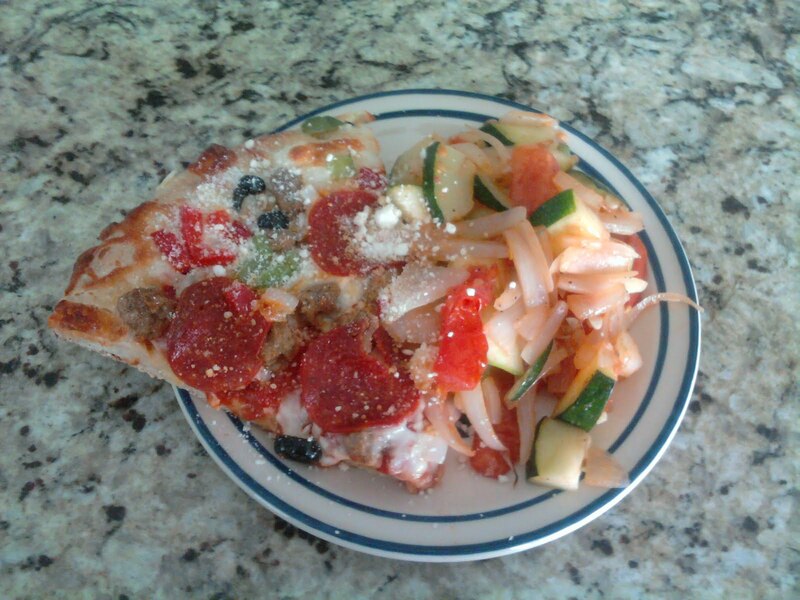 The DiGiorno rising crust has got to be one of the best ones out there! We went to look for rugs at this closeout place. We're going back tomorrow to get us some runners to protect the areas of our floor that get the most traffic. Then, came the ice cream goodness. 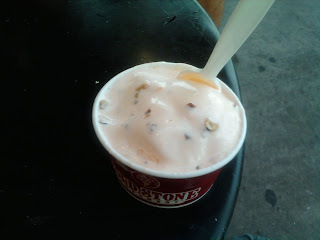 Ahh yes, Coldstone in the summer, couldn't ask for more. Plus, you get a 50% discount if you're pregnant! I went with their new peach flavored and mixed in some pecans. It was too good! Now we get to watch Hot Tub Time Machine, I'll let you know how that goes!